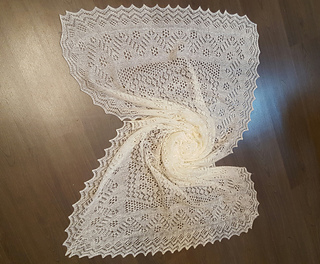 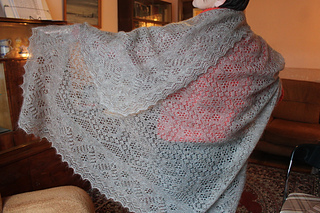 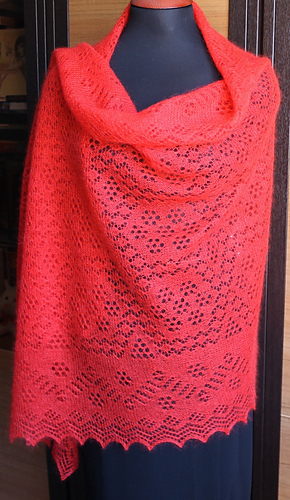 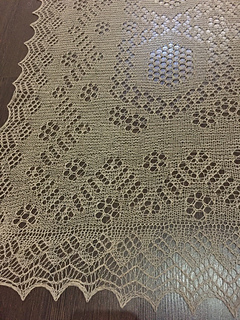 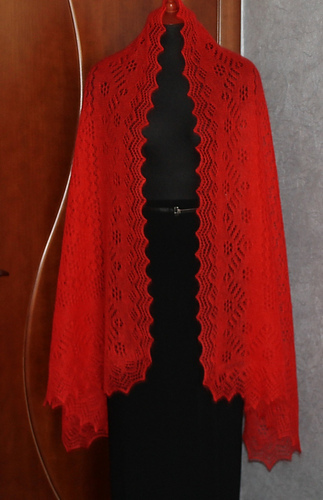 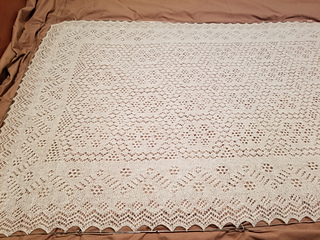 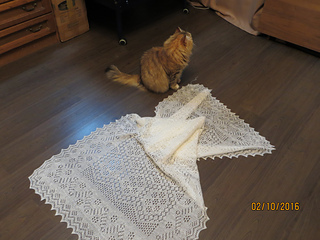 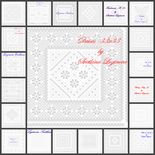 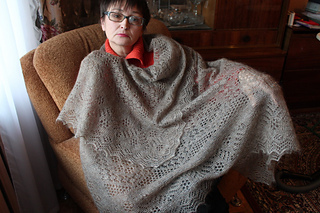 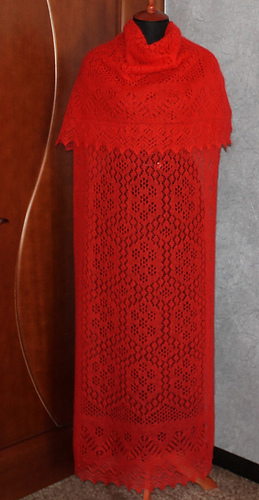 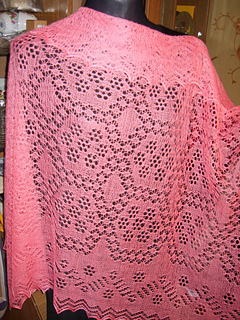 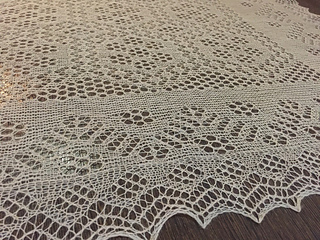 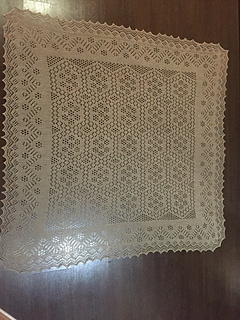 1) Square shawl – 225 sts wide (edging not included); Chart A, A1. 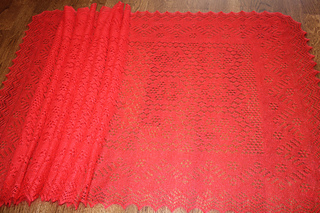 2) Large square shawl – 321 sts wide; Chart B, B1. 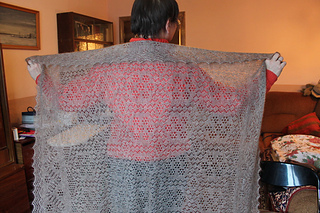 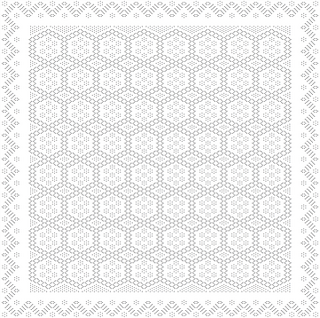 3) Stole, variant 1 – 153 sts wide; Chart C (optional length with 37 or 41 edge repeats). 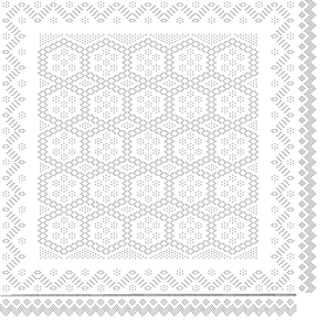 4) Stole, variant 2 – 185 sts wide; Chart D (optional length with 43 or 47 edge repeats). 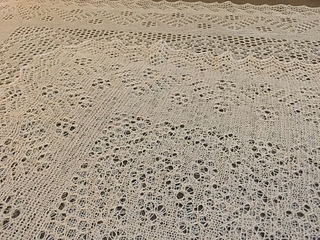 • Chart D – 1930m / 1740 yds. 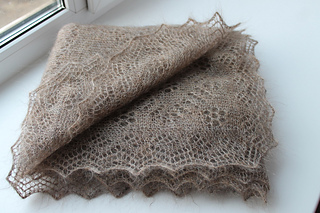 NadinD used up 142gr = about 1420m / 1553 yds Camelot by Lineapiu Group (67% Mohair, 30% Nylon, 3% Wool, 546 yards / 50 grams) for the stole (C_summer_19x41.pdf). 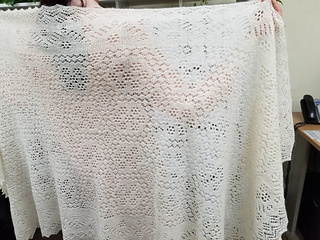 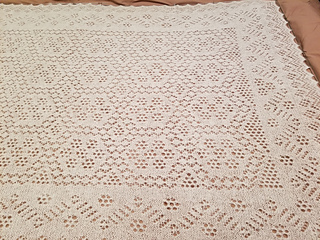 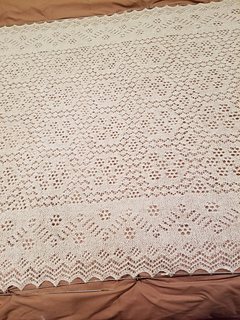 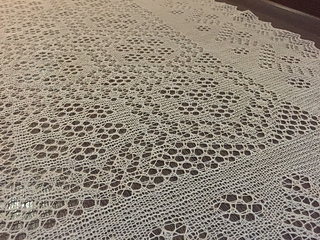 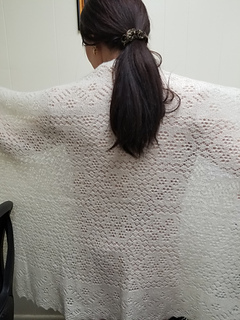 Average size after blocking is 83 x 196 cm. 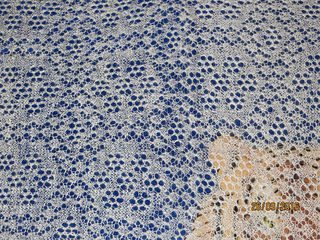 Needle US 2 - 2.75 mm.